• World demand hit by slowing Chinese growth and the continuing Russian import ban. • The highest wheat yields on British farms for 25 years and milk production at a 20-year high – but sharply falling prices. • Pork prices at their lowest for eight years; lamb, poultry and sugar all down a long way. • The strong pound pulling in imports and magnifying those global trends. In the face of these challenges, we could just take cover and hope things get better soon. But I know that is not the attitude of British farming. Despite the fact prices are low, every week I meet people full of new ideas for taking forward this great industry - and ideas for managing the volatile world we face. Action in all these areas and confidence in the future are at the heart of the 25-year plan for food and farming we will be publishing shortly. It will detail how we will attract even more skilled people to the industry, build the British brand and increase exports. And it will give farmers the tools to improve productivity and competitiveness so the future is sustainable, profitable and world-leading. I would like to thank the NFU and everyone in the industry who is supporting and contributing to this long-term vision for success. We know Britain already has some of the world’s most innovative farmers and scientists. Their breakthroughs are what will make this industry a world leader - and we want to turbocharge their ideas. That is why over the next five years, we are doubling Defra’s capital investment in science to £130million. And we are investing another £80million across government to develop research centres for livestock, crop health, data and precision engineering. The Agrimetrics data centre, which we launched in October, is working on projects like predicting and monitoring cereal crops and pest risks. The Food Innovation Network, announced by the Prime Minister last summer, will bridge the divide that too often exists between businesses and researchers so the latest innovations lead directly to improvements on farms and production lines. There is a new generation excited about farming. It is the fastest-growing subject at university, with a 4.6% increase in student numbers last year. There are now more than 19,000 people studying agriculture and related subjects. Farming can be proud of what it is doing to attract these ambitious people - what a massive vote of confidence in the future. I met students at Cirencester earlier this month. They told me about the opportunities they see in farming - like new technology, increasing sustainability and adding value through the food chain. Growth at the Royal Agricultural University is being driven in large part by a 44% increase in female students. Nationally, we are seeing more and more women come into the industry. By opening itself to the widest pool of people, this great industry is harnessing all the available talent. Developing the skills the industry needs is central to our 25-year plan. One of our manifesto commitments is to treble the number of apprenticeships by 2020. The Food and Drink Federation have already committed to this target. I hope the farming industry will follow suit. Currently, there are 1,000 apprentices in farming and 2,100 in horticulture. The government’s new levy which comes into force in April 2017 will bring the biggest funding for apprenticeships ever seen and I strongly encourage people in the audience today to make sure their businesses benefit. We will need the experience and the expertise of today’s and tomorrow’s farmers to take advantage of the new opportunities. The market-access deals I signed in China in 2015 will bring our farmers around £40million a year of potential sales for barley and pig’s trotters. And after a painful 20 years following the disaster of BSE, we are putting British beef back where it belongs, at the top of menus around the world. Last October, Canada announced it was lifting its ban. And we are making good progress with the US and Japan, which together would bring an estimated £40million a year in beef exports. In January, we launched the Great British Food Unit, bringing together expertise from Defra and UKTI in a single location to give advice and practical help to exporters. Our Great British Food campaign is championing the industry in Britain and across the world. Farmers are at the forefront of this campaign - people like Robert Craig, dairy farmer of the year in 2014 and Patrick Harte of Cornerways Tomatoes. The AHDB is now able to celebrate the British provenance of our food in its campaigns and will be running promotions for home-produced meat over the coming months, supporting the 2016 Year of Great British Food. Government is now buying more British food as a result of the Bonfield reforms. The Ministry of Justice’s new £500million contract for prison meals will use the balanced scorecard, creating a level playing field for British producers. And from this April all 30 million cartons of UHT milk served annually to prisoners will be British rather than from overseas for the first time in years, thanks to the supplier, Bidvest, using the balanced scorecard. Across the public sector – places like schools, hospitals, military canteens and government departments – we will be able to buy around an extra £400million of British food every year that we used to source overseas. The opportunities ahead are about changing tastes as well as new markets. The Family Food survey, which we released last week, shows how what we eat has moved on since the 1970s. As a great fan of British butter, I’m very happy at the revival in its fortunes which the survey shows - we now eat far more butter than all the low-fat spreads and margarine put together. Fruit juice, fresh fruit and veg as well as breakfast cereal have all surged - as has yoghurt, up more than five-fold since the 1970s. Businesses like Yeo Valley in Somerset are responding to these changing tastes. It now produces 2 million yoghurts a week, adding value for its own farms and for 90 others in the south west. Thanks largely to the efforts of the NFU, closely supported by George Eustice, more supermarkets are buying British - like Tesco, who will be sourcing all the milk for their own-label yoghurt from British herds. And Marks and Spencer’s will be sourcing all of its cheddar from Britain. Our go ahead businesses also include vegetable growers like Hammond Produce, who set up a Garden of Innovation in Nottinghamshire jointly with Bakkavor to provide a showcase for their novel produce to go into ready meals. The British flair for innovation helped the food industry attract more foreign investment in 2014 than the rest of manufacturing put together. We have also seen strong investment in farming. Thanks to high-quality management, this is starting to show through in rising productivity. And although we cannot control market volatility, we can give farmers improved tools to manage it. Last year, the NFU had two major budget asks – certainty around the annual investment allowance and improved tax averaging. Because this government backs British farming, we have delivered those reforms. From April this year, farmers can average profits over five years instead of two. Also from this year, we are introducing a permanent annual investment allowance of £200,000. There are other actions that could help smooth out volatility. We are drawing up practical options for creating new derivatives markets. That means cooperating closely with the AHDB’s volatility forum, with farming, processors and the finance sector. We are fundamentally re-engineering the way we work with farmers to reduce the burden of regulation. 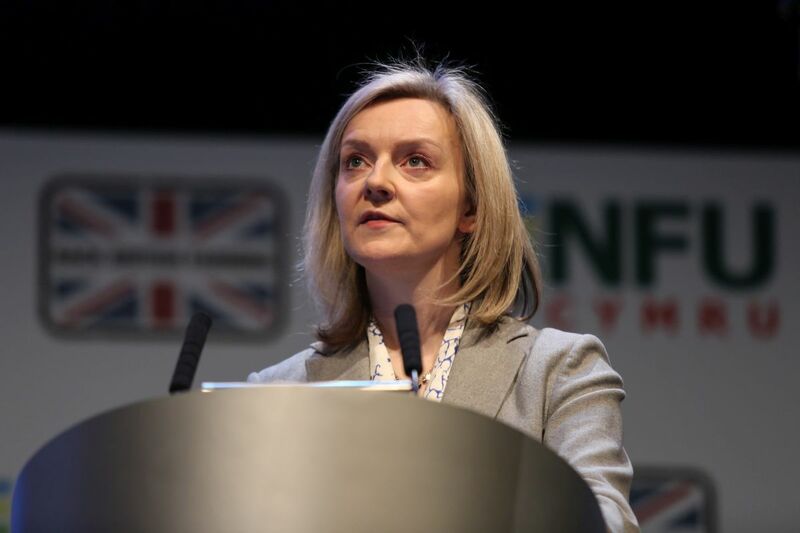 As we re-shape Defra and its organisations, the Environment Agency and Natural England will be working to the same boundaries so it will be much clearer for farmers who they need to talk to. By the end of this parliament, we will have saved businesses £470million of unnecessary costs. We have already got rid of lots of unnecessary blockages in the planning system and we will go further with the Rural Planning Review we launched earlier this month. It is looking at how we can streamline the development process in areas like farm shops, polytunnels and farm reservoirs. Our new Single Farm Inspection Taskforce will start work in June. By better use of data and technology like satellite imagery and by coordinating visits, we will reduce the number of inspections by at least 20,000 a year in this parliament. Added to the 34,000 cut since 2010, that will mean we have reduced the number of visits by over 50,000 a year. The single farm helpline, which we set up in September, is saving farmers hassle. Over 60% of queries are now dealt with by the first person the caller talks to– they do not get shoved from team to team. As I have said previously, the current CAP is the most complicated ever. I want to see simplification in ecological focus areas, cross-compliance and inspections and far better use of technology. And I want the three-crop rule abolished. I have heard from farmers in Hampshire and Northamptonshire how it is adding 10% to their costs - all for a scheme that does virtually nothing for the environment. I want to see more decisions made at national and local level in areas like pesticides and environmental stewardship. I believe that by voting to remain we can work within a reformed EU to reduce bureaucracy and secure further reform while still enjoying the significant benefits of the single market which gives us access to 500 million consumers. We are able to export our high quality products freely without the trade barriers we deal with elsewhere and with a say in the rules. Food and farming is our largest manufacturing industry employing 3.8 million people. Sixty percent of our food and farming exports are to the European Union, bringing in £11billion. At a time of severe price volatility and global market uncertainty – I believe it would be wrong to take a leap into the dark. The years of complication and risk caused by negotiating withdrawal would be a distraction from our efforts to build a world-leading food and farming industry that brings jobs and growth to Britain. The new settlement the Prime Minister has secured gives us the best of both worlds and I am proud to be part of the Government that it is delivering on its commitment to have an in out referendum. I believe we would be stronger, safer and better off in a reformed Europe but ultimately it will be for the British people to decide. The complexity of the CAP has unfortunately caused real problems in the basic payment scheme. The Commission were still making changes in February 2015, which was far too late. When farmers are already facing price pressures, I fully understand the concerns of those who have not yet received payments. It is vital we do the calculations properly or we could face huge fines from the EU. Disallowance is already running at £70million a year, money we should be investing to improve the growth prospects of British food and farming. I have been regularly monitoring progress with Mark Grimshaw and making sure he gets all the support he needs. Under his leadership, the RPA has been working seven days a week with between 800 and 1,000 staff processing applications. They have entered and checked more than 80,000 claim forms. As a result of their efforts, by last weekend we had paid over £1billion to nearly 71,000 farmers, four fifths of those eligible. We are on course to make almost all payments by the end of March. For farmers who have not been paid, we will continue to work with the banks so they are able to access finance. We also have a hardship fund, which has advanced BPS payments to 268 farmers, worth an average of £16,400. I know there have been issues in areas like allocating land across commons and in cross-border claims, which will be speeded up when new systems for exchanging data with Scotland and Wales go live in April. Now that we have entered all the data on our system, the 2016 application round will be much simpler, particularly for people who do not need to make any changes. Farmers will be able to apply online this year, and that will include land and entitlement transfers. And of course, for those who need it, we’re retaining a paper option. The window opens in early March and farmers will have until May 16th to finalise claims. We have been making separate payments to those facing exceptional difficulties, including £26.2million in one-off support for the dairy sector. The Farming Recovery Fund to help flood-hit businesses get up and running again is processing more than 80% of applications in less than 10 working days. So far, it has approved nearly £1million of claims at an average of £9,100 per farmer. While we are getting payments out as quickly as possible and helping those facing immediate challenges, we will not lose sight of the need to continue building confidence in the future. The 12% increase we secured in Defra’s capital budget means we can invest more in flood defences and resilience against animal and plant disease. We are strengthening protection for a further 420,000 acres of farmland by 2021. On top of the 580,000 acres we protected in the last parliament, this will mean 1 million acres better defended in a decade. We are upgrading laboratories and other facilities at Weybridge to fight animal disease - something too many people in this hall have had to confront, whether it is avian flu or, 15 years ago this week, foot and mouth. Bovine TB is the biggest threat we face and I am 100% committed to defeating it. Our comprehensive 25-year strategy is making real progress – in fact, we’re on course to declare half of England TB-free by 2019. That success is in large part due to the efforts of farmers who have gone out night after night, often in the face of blatant intimidation, to make the badger cull a success. Thanks to them, all three culls - in Dorset, Gloucestershire and Somerset - met their targets in 2015. It is these farmers who are giving hope to a whole industry. But this is no time to ease off. I want to see culling expanded across a wider number of areas this year. The Chief Veterinary Officer’s advice is that this is the only way to secure the full benefits of our comprehensive strategy. And we will fund an expanded TB advisory service that farmers have been calling for so it is available throughout the high-risk and edge areas. Whatever our opponents may say, we know we are doing the right thing. We are pursuing a strategy that has worked in Australia and is working in Ireland and New Zealand. We will not rest until we have eradicated this devastating disease. Bovine TB is one of the many challenges this industry faces. And I recognise these are not easy times. That is why this next year is such a vital period. We will need to work closely together to make sure farming has the confident and profitable future it deserves. British food and farming is a fantastic brand, recognised and admired around the world. The opportunities it offers talented people have never been greater. It is central to this country’s future - to our economy, to our environment, to a thriving countryside - to making sure Britain remains a fantastic place to live."